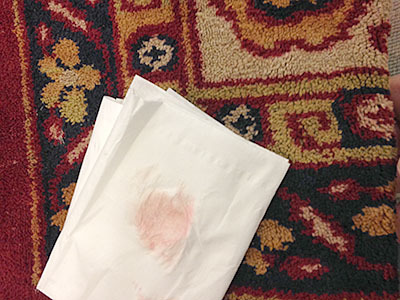 Importantly we do not clean rugs in situ, except in exceptional circumstances, as the cleaning result will be significantly less, and due to the risk of damage to nearby furniture, fitted carpet or hard floor surfaces. Once on our premises we carry out a detailed inspection so to be aware of the construction type, pile and foundation material. We carry out dye bleed tests to check for colour run issues and generally use this information to confirm the optimum cleaning process. 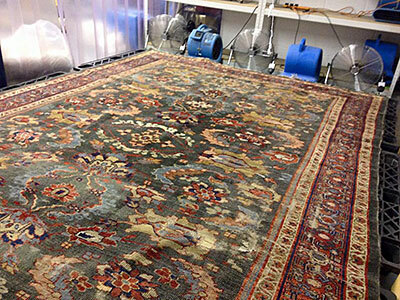 The next stage is to remove loose soil from the rug. 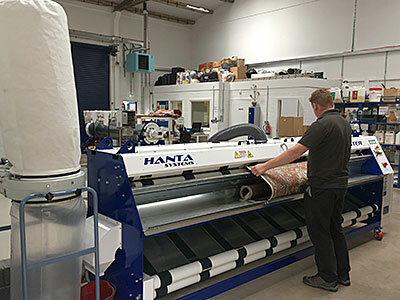 This process is crucial in achieving a first class clean – we use a specially designed semi-automatic duster which gently but effectively removes the loose soil uniformly across the entire rug. 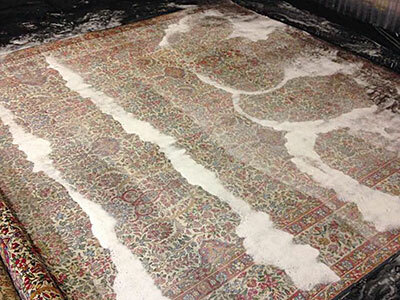 Most rugs are then immersion washed in one of our specially constructed wash pits in which we use several techniques and mild specialist rug cleaning products to remove soiling from deep into the pile and on both sides of the rug. Particularly dirty rugs or those requiring specialist de odourising or sanitisation may be immersion washed several times and left soaking in the pit for several hours. We then thoroughly rinse the rug to further remove dirt and shampoo residue using water stored in a large tank above the wash pit enabling a powerful drop rinse flushing operation. 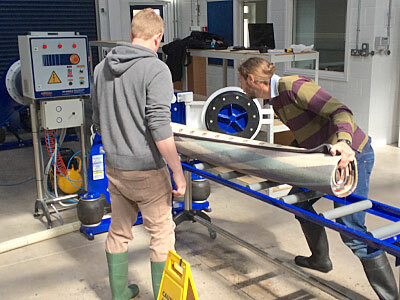 Following immersion washing the rug is placed in a specialist centrifuge which safely and effectively removes most of the water. The rug is then placed in the drying room where air movement and dehumidification are used to reduce the moisture content to normal. 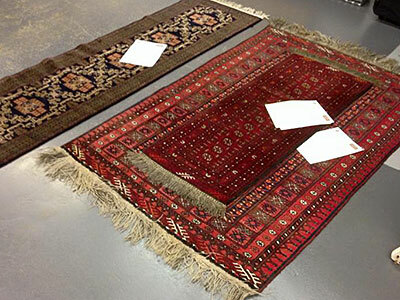 Those rugs identified as being unsuitable for full immersion washing are generally cleaned using alternative low moisture techniques which, whilst not quite as effective or efficient, still provide a good cleaning result whilst ensuring that no secondary damage is caused. Cleaned rugs are then groomed by hand, quality checked and readied for return or, if required, specially packed for long term storage. 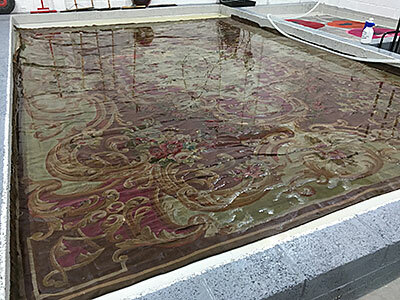 Any repairs or restoration can now be carried out.